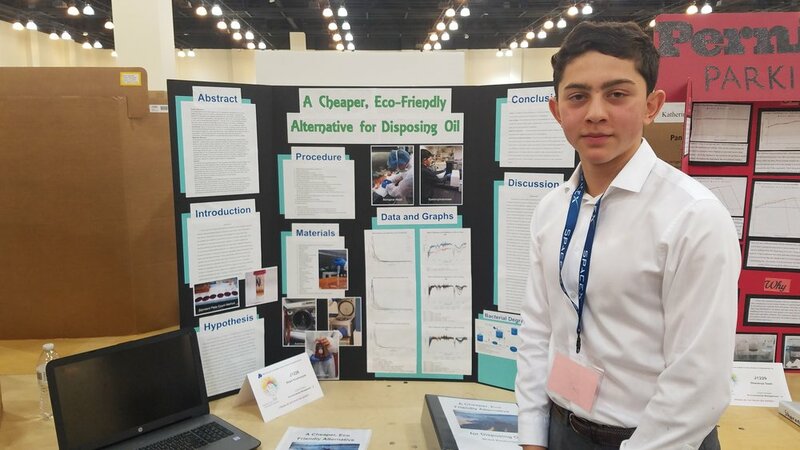 This year, at the 69th annual Los Angeles County Science and Engineering Fair, SBBEC awarded two $100 scholarships to high school students with innovative sustainability-focused projects. Our first award went to Jad Soucar and Jonghyun Hong, who invented ECOncrete. 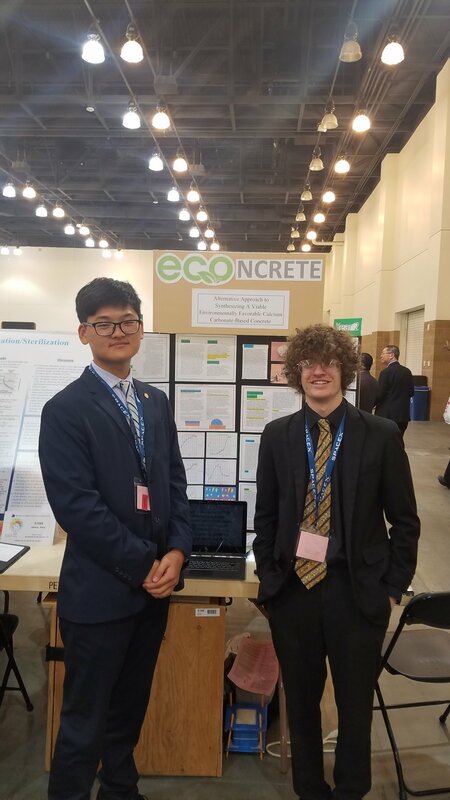 This student team recognized that there is a need for an eco-friendly concrete that minimizes carbon emissions, while still holding up to daily wear-and-tear and weather. Their product eliminates the need to mine and burn the limestone typically used in concrete by, instead, utilizing the more sustainable calcium carbonate. They are in the process of having their ECOncrete patented and they are hoping to eventually have a larger application for asphalt. The second award went to Shant Koutnouyan for his project that utilized bacteria to clean up oil spills and used-oil waste. Through his experiments, Koutnouyan was able to effectively culture Acinetobacter venetianus and use this bacteria to clean up used engine oil. His research showed that this method is both more cost effective and environmentally friendly than the typically-used incineration method. Koutnouyan is currently working to obtain a patent for his oil-eating bacteria machine. SBBEC was impressed with the high quality of all the student work at this fantastic event and extends a big congratulations to all of the participants, including the winners of this year’s SBBEC Scholarship Awards. 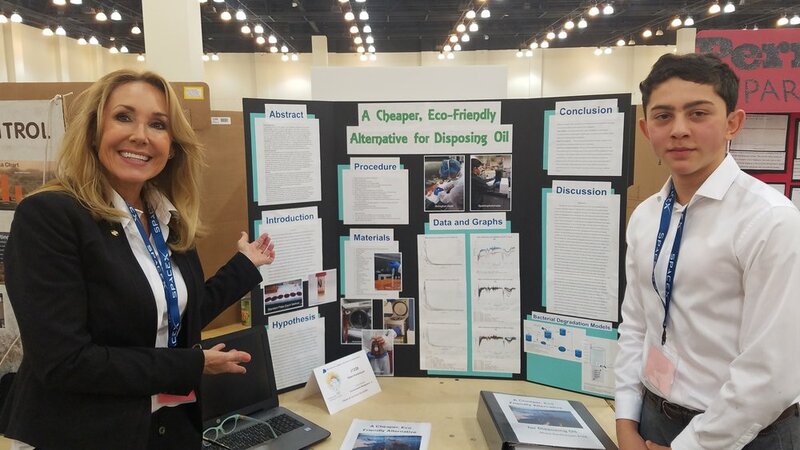 If you are interested in learning more about the Los Angeles County Science and Engineering Fair, visit their webpage for more information.